Ending your marriage can be an intense, long-lasting emotional strain, even in the best of circumstances. You might be struggling with depression, feelings of isolation, anxiety, and frustration. On top of the emotional toll, a divorce requires you to restructure your life and your finances. You and your spouse have to come to agreements about property division and money even while coping with the reality of your marriage coming to an end. The decisions you make during a divorce will have consequences for your future and will impact any children you might have. It’s true, going through a divorce can be an absolutely overwhelming experience, but it doesn’t have to be. It’s an understatement to say that divorce is tough, but the skilled Raleigh divorce attorneys at Marshall & Taylor PLLC can help make the process as painless as possible. We can provide legal counsel so that you understand your rights and know what to expect from the divorce process. We can also serve as your legal representative, taking some of the formal filing burdens off your shoulders. Additionally, our divorce lawyers are ready to help you achieve an amicable, desirable outcome to your divorce by mediating between you and your spouse. We can also aggressively protect your rights when it comes to any serious disagreements or disputes concerning child custody, alimony, property division, and other issues. With our help, you can emerge from your divorce with your dignity intact and your best interests protected. Learn more about how we can help you by calling 919-833-1040. Any legal dispute that concerns those closest to you will be emotionally difficult and personally draining. It is important that you choose a distinguished family law practitioner who possesses the knowledge to safeguard your rights and help you handle your case with dignity. Whether you are going through a divorce or seeking a restraining order, our lawyers will prioritize your interests and well-being. Going through a spousal separation or divorce can feel incredibly lonely. Many people feel alienated from other family members and, often, close friends. They even have trouble connecting with their children as they handle stress and spend time and energy on the divorce. It can be helpful to remember that a vast number of people every year work through divorce and separation only to find fulfillment and happiness afterward. While it can definitely cause heartache and anxiety as it unfolds, divorce has the potential to significantly simplify and improve your life. North Carolina is a “no-fault state,” meaning that you do not have to establish any blame if you want to divorce your spouse. You can obtain a divorce from the courts without any reason other than wanting to end your marriage. However, if your spouse has been emotionally abusive, unfaithful, physically abusive, or has become addicted to drugs or alcohol, this may impact divorce-related issues such as child custody and property division. Additionally, at least one spouse must have been living in North Carolina for at least six months to obtain a divorce in this state. It does not matter whether you married in or outside of North Carolina. Going through a divorce can be emotional and painful for all parties involved. An experienced divorce lawyer can minimize the emotional damage of a divorce by mediating between you and your spouse and ensuring that the divorce concludes as favorably and quickly as possible. Sometimes the issues that arise are unexpected. For example, consider an individual who has decided to end their marriage. They approach their spouse to discuss the issue, who promises to contest any and all points that come up in the divorce. The contesting spouse threatens that if the if the person seeking a divorce leaves their home to try to live elsewhere, it will count as child and spousal abandonment. A skilled divorce lawyer is necessary in this case for several reasons. For one, a lawyer can often help smooth things over between the parties involved. When tempers are running high, it can be immensely helpful to have an outside perspective. For another, a lawyer could help the individual who wants to end the marriage decide how best to proceed. Since absolute divorce requires living separately for a year, it is important that the person does not compromise their position or accidentally give up their rights. If you are facing a legal issue that involves members of your family, you probably have a lot of questions. We have put together a short list of some of the most common inquiries for your reference. A dedicated legal professional can answer any other questions you may have before you decide to hire a lawyer or take any official action. Family law handles the legal issues surrounding intimate family relationships including but not limited to marriage, divorce, adoption, child custody, restraining orders, and alimony. A skilled family law professional can help you protect your rights, your finances, and your child or children’s well-being through a variety of family-related legal disputes. For example, an experienced lawyer can help you navigate the complex adoption rules and regulations in North Carolina, making a difficult, stressful process proceed as smoothly as possible. A lawyer can also help you arrive at a fair, satisfactory divorce outcome. While it is technically possible to file for divorce without an attorney in North Carolina, it is almost always in your best interest to obtain legal counsel. Many individuals ask this question when the separation or divorce is mutually amicable; both parties involved simply want to end the marriage without any ill-will or bad feelings. Even in these situations, it is still of great importance that you protect your rights, your property, and your child or children. Divorce can involve a great number of complex, unforeseen issues such as the division of assets and property, child custody, child support, and alimony. A skilled lawyer can help you navigate the legal minefield of divorce so that you can safeguard your interests. Additionally, many people assume that hiring a lawyer will necessarily increase the aggression or tension in the divorce proceedings. With the right lawyer, this will not be the case. In fact, an experienced divorce lawyer will be able to anticipate problems and smoothly deal with issues as they arise. Hiring compassionate, experienced legal representation can wind up making your divorce more civil and harmonious. 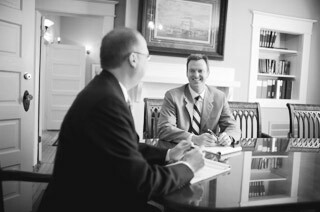 Why should I choose Marshall & Taylor PLLC? Our divorce lawyers understand that our clients are already going through an exceptionally trying time from the minute they step into our office. That’s why we value clear, open, honest communication with the people we serve. We want to favorably wrap up your case as swiftly and as smoothly as possible so that you can move forward with your life. However, even though we treat our clients with the utmost compassion, we are well-equipped to fight aggressively to protect your rights. Our divorce lawyers understand the value of diplomacy and mediation. If those approaches do not work, we are more than willing to defend you, your finances, and your children to the full extent of the law. Additionally, Jeffrey E. Marshall is Board Certified in family law, a distinction that means he has met high standards set by the North Carolina State Bar. If you are struggling with a family law matter, you need the help of a skilled, experienced lawyer. Troubles and problems involving those closest to you can be very draining. Going through a divorce or fighting to receive the alimony you need can create stress that seeps into all areas of your life. At Marshall & Taylor PLLC, our dedicated divorce lawyers have the knowledge, the integrity, and the work ethic you need to achieve a satisfactory outcome in your family law case. Call us today at 919-833-1040 to speak with a skilled legal professional about how we can help you.